When you think of the Gold Coast, you usually think of beaches, theme parks, beaches, theme parks and more beaches. You don't usually think of …chocolate. Well, I'll let you in on a little secret. In fact, one of Queensland's best kept secrets. It's Mount Tamborine in the Gold Coast Hinterland. And on that mountain is a little shop that all chocolate dreams are made of. Welcome to Chocolates On Gallery Walk. About an hour from the Gold Coast and Brisbane is the breathtaking Mount Tamborine, with its lush rainforest, glorious waterfalls, abundant wildlife, as well as award-winning wineries, cafes, shops, markets and top-class restaurants. 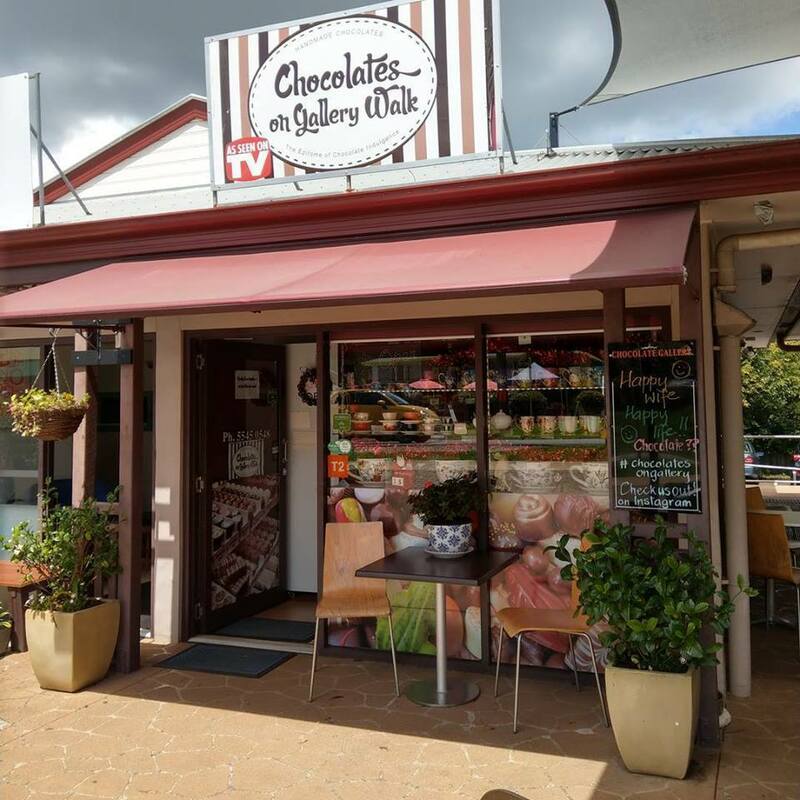 Gallery Walk is Mount Tamborine's main tourism centre and it's here where you will find chocolate heaven. 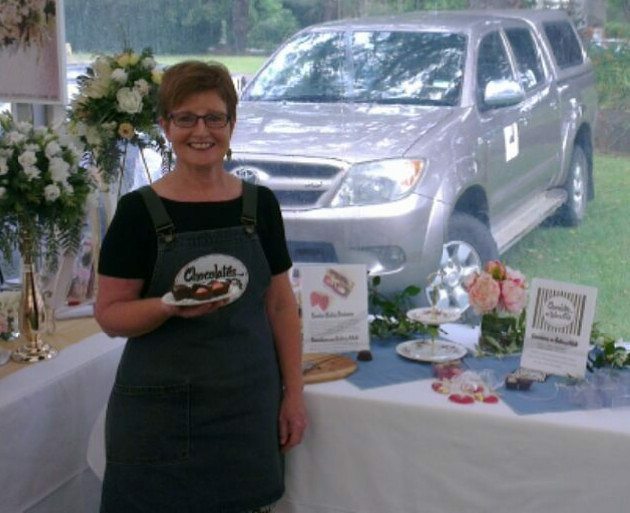 Chocolates On Gallery Walk is a family-run business owned by Kate and Derek Gardner. Kate and Derek are Mount Tamborine locals, having lived on the mountain for the last ten years. 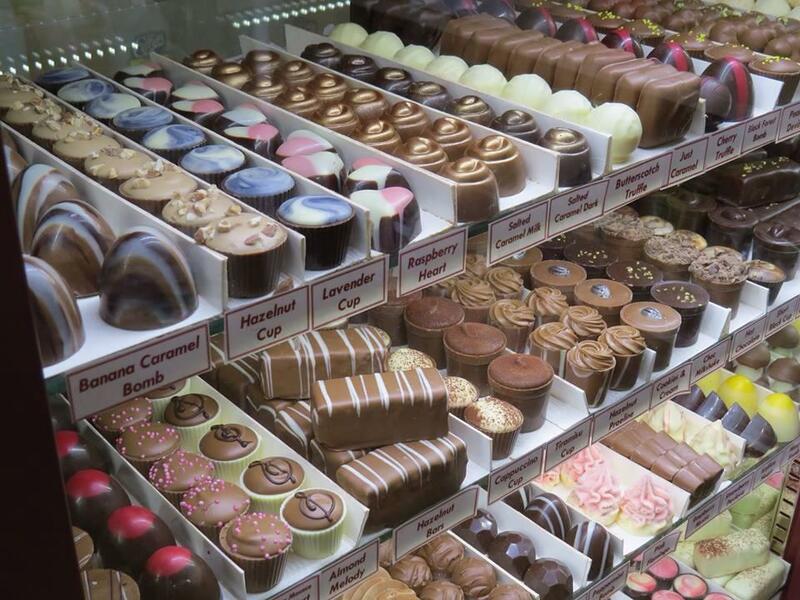 Kate started work in the chocolate shop in 2012 as a favour to a friend. Four years later she and Derek took over ownership of the shop. 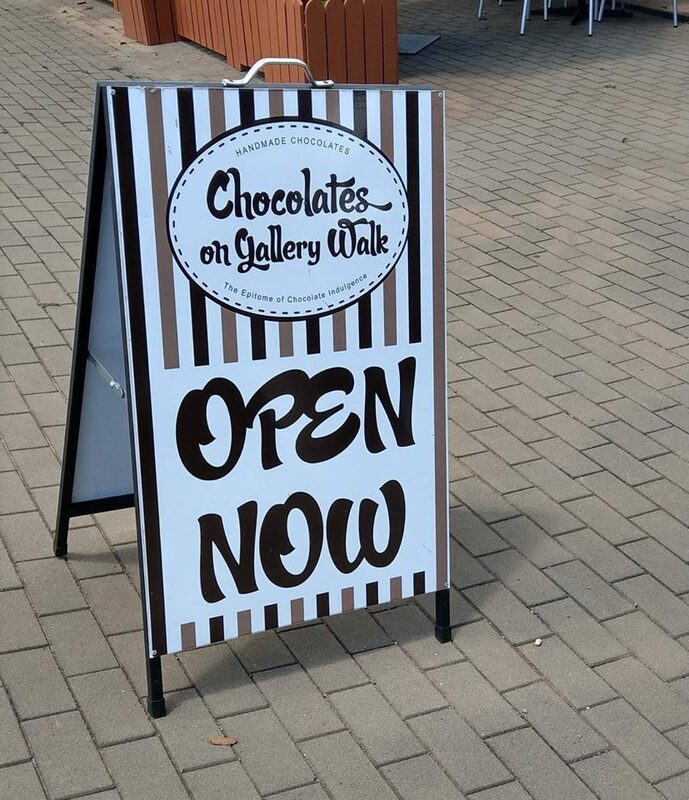 Chocolates on Gallery Walk is truly a family venture with everybody pitching in their support and assistance whenever they can. Kate works in the shop most days of the week, with daughter Elle helping out on Sunday afternoons and occasionally when a bus tour comes through Gallery Walk. Derek collects stock during the week and also provides a lot of behind the scenes support. Elle also runs the shop's social media pages with assistance from a sister based in Sydney. And what about the chocolate? Well, you will be happy to know that the shop sells every kind of chocolate there is to drool over. 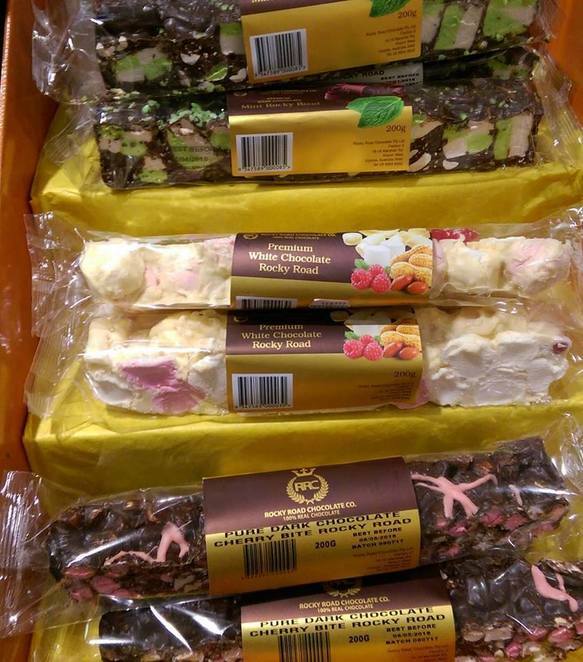 There are bags of the shop's famous chocolate covered peanut brittle ("People come back time and again for this peanut brittle so we always have it in store," Elle says), specialty flavoured Rocky Roads such as salted caramel, peppermint and cherry bite from the Melbourne-based Rocky Road Chocolate Company, and bags of locally sourced chocolate coated nuts and dried fruit like macadamias, hazelnuts, blueberries, cherries, sultanas, and ginger, in milk and dark chocolate. 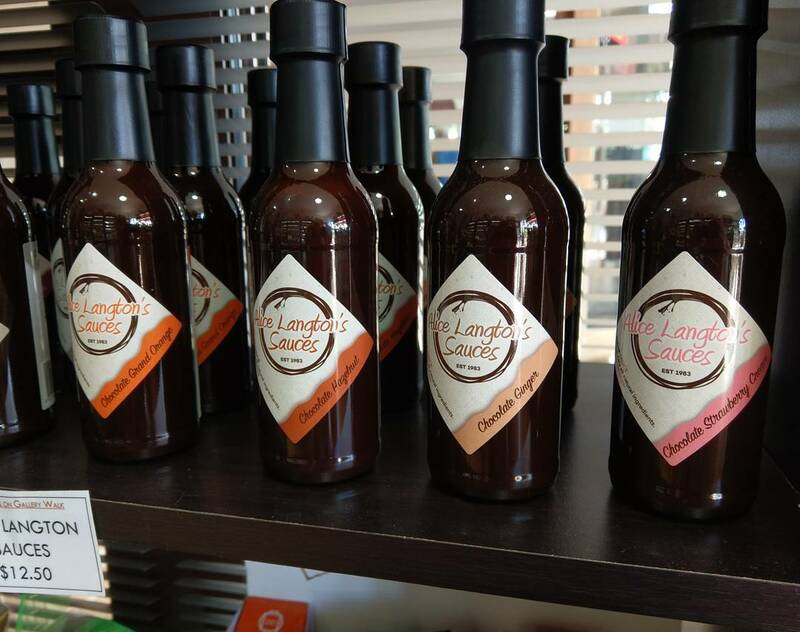 There's also tantalising Turkish Delight, scrumptious dark chocolate covered dates, and @sugarlessco chocolates which have no added sugar, are gluten free and low carb. There's also Alice Langton Chocolate Sauces, Equagold Cocoa Powder, Maxwell Treats Hot Chocolate Mixes, Bondi Chai Powder, Duck Creek Macadamias, Australian Jams, Chilli Sauces, and marzipan snowmen, gingerbread and Christmas chocolate gift boxes for the festive season. 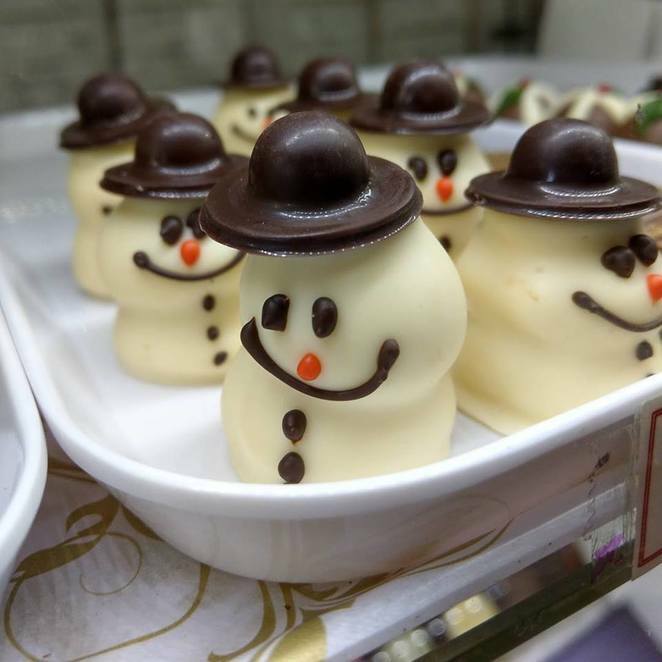 The shop also offers a hot chocolate made with melted Dark Belgian Chocolate pieces all year round. Creamy and rich, it's a hit at the moment with the cool weather. 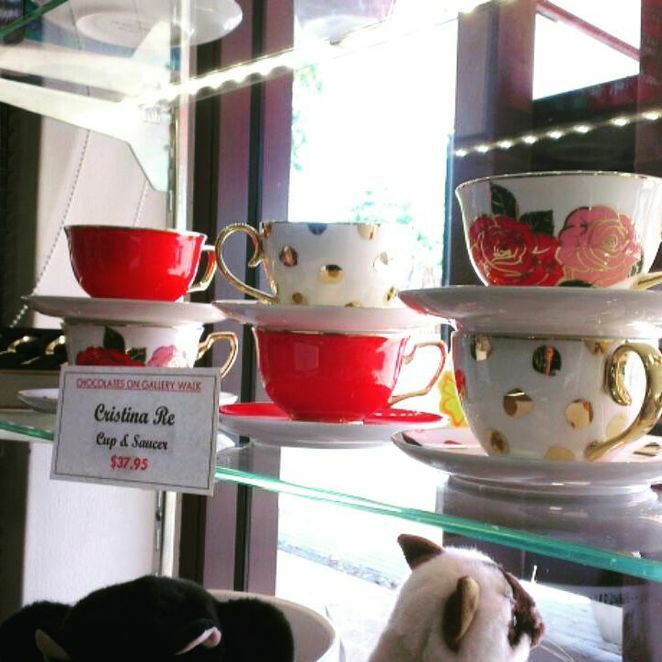 They also sell a range of non-chocolate gifts such as soft toys from a Gold Coast company, Bocchetta, and Cristina Re fine china tea and coffee cups. And in addition to all the chocolate and gifts, the shop also offers a Bonbonniere service for weddings or other special occasions. 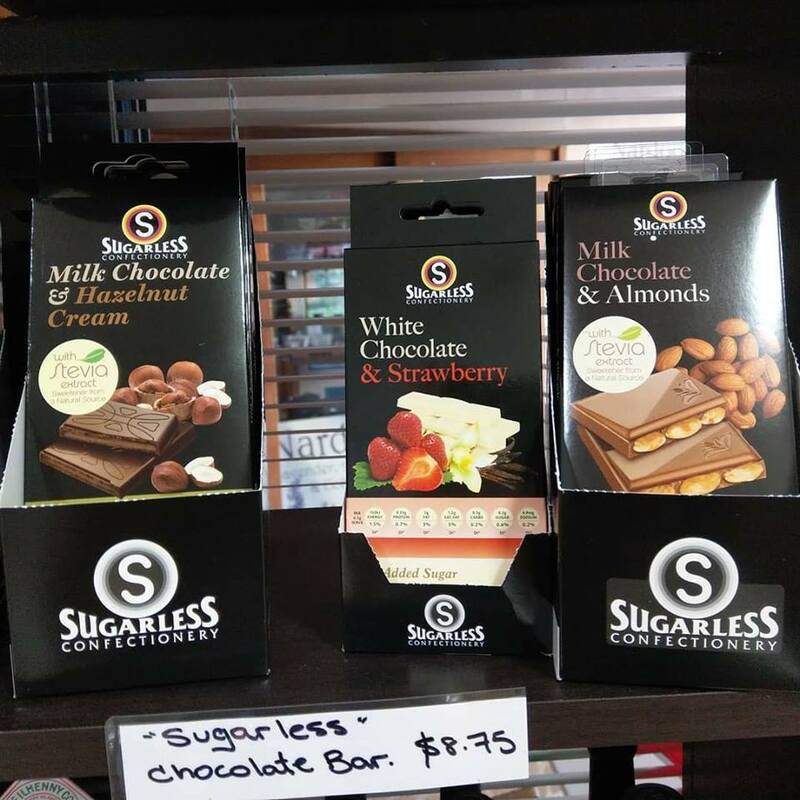 Every chocolate in the shop is handmade from a variety of Australian companies, with a few specially imported items. The gorgeous handmade chocolates in the shop's cabinet come from a Sydney Chocolatier who have been making award-winning chocolates for the past 20 years and have been supplying Chocolates on Gallery for 10 years. 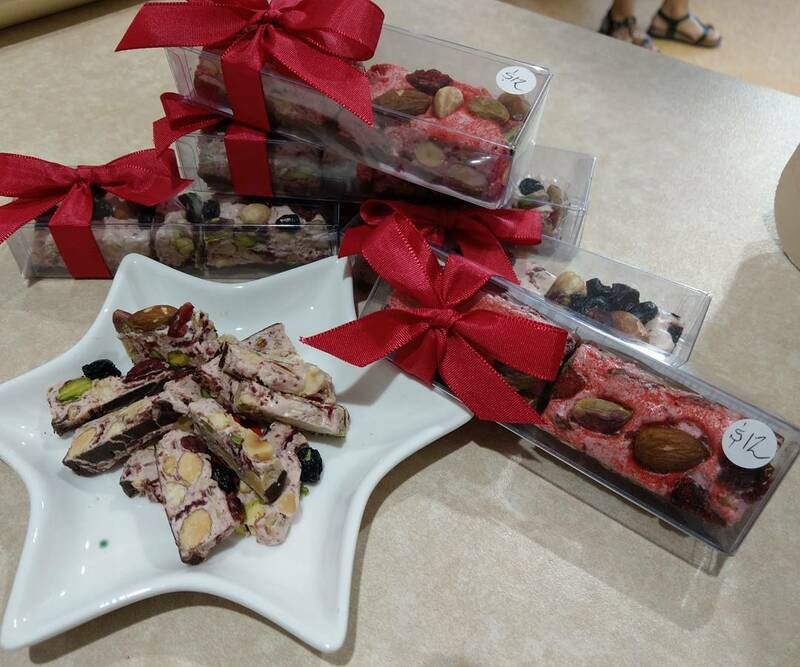 "It's been a wonderful and supportive professional relationship with frequent visits to their factory to see new chocolates and how they're made," Elle says. "You can taste the craftsmanship and artistry in every chocolate. 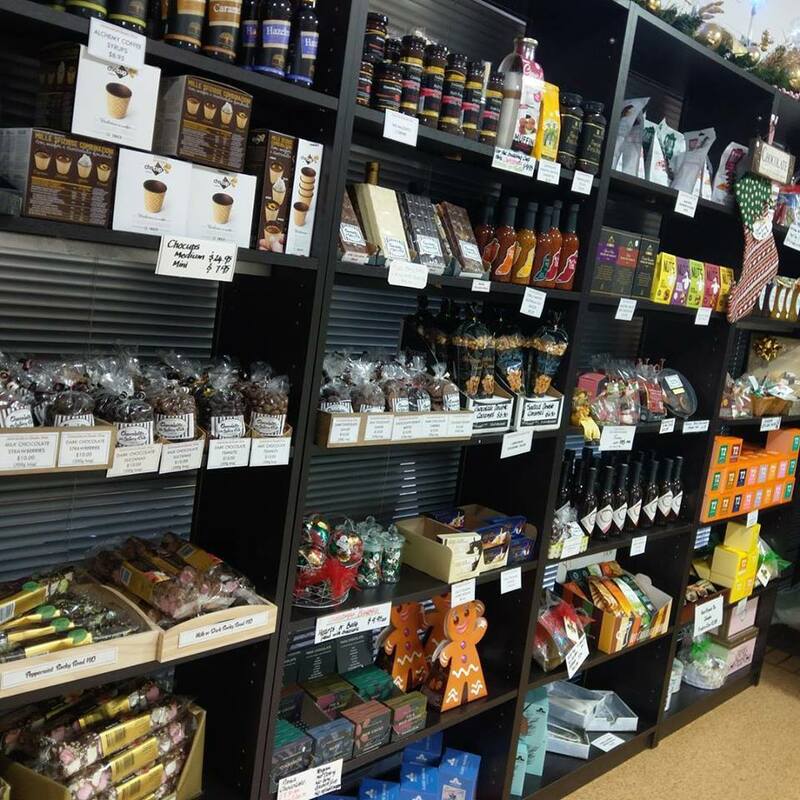 We have tried every chocolate in the cabinet so we know the chocolates that we sell. We try to match people with a chocolate we know they'll enjoy. We have our favourites, but there is a chocolate for every occasion and tastebud." 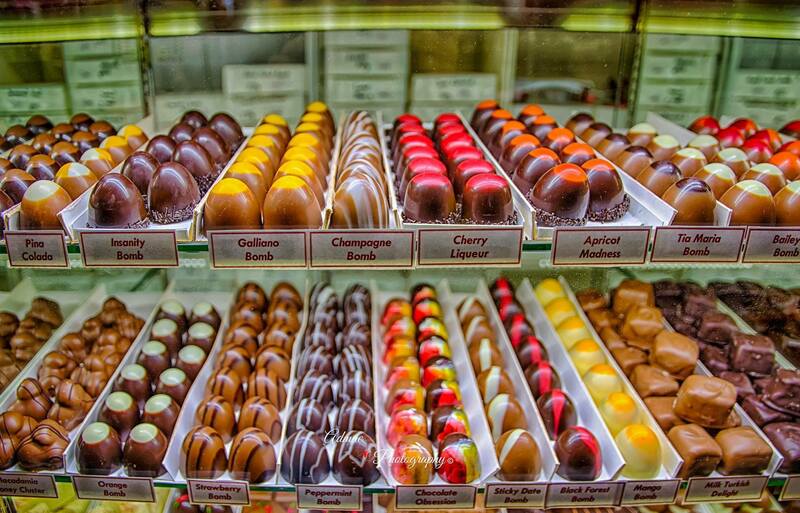 Chocolates On Gallery Walk is indeed a chocoholic's paradise. Come to Mount Tamborine this weekend and I guarantee you that, like the great chocolate maker Willy Wonka wrote on his much sought after golden tickets in Roald Dahl's classic children's story, 'Charlie and the Chocolate Factory',"tremendous things are in store for you, wonderful surprises await you!" Chocolates On Gallery Walk is located at 140 Long Road, Eagle Heights. The shop is open 7 days a week, 9am until 4.30pm daily. Closed Good Friday and Christmas Day. Why? 'Because a balanced diet is chocolate in both hands! Wow, those chocolate look amazing. Everything is so shiny and attractive.